In November, the Phoenix Historic Preservation voted to recommend that the controversial David Wright House and six surrounding acres of undeveloped land be listed as a historic landmark. SoA Adjunct Lecturer Bob Vint, restoration consultant architect for the house, was instrumental in convincing city leaders to protect this architectural treasure. 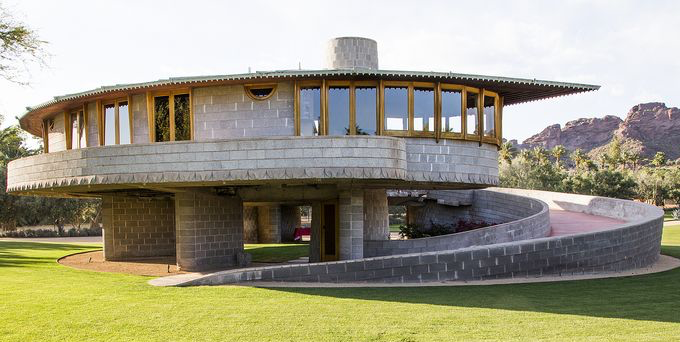 The home was designed by preeminent American architect Frank Lloyd Wright for his son and daughter-in-law in 1950. The house is among Wright's top 20 structures and is based on a spiral ramp, a concept FLW would revisit for the design of the Guggenheim Museum in NYC. The house garnered national attention when it was threatened with demolition a couple years ago and the restoration remains controversial with neighborhood residents.